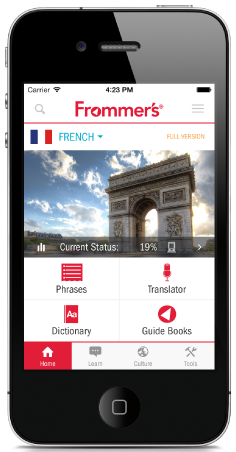 Frommer's Translator is the ultimate tool to help you be productive, safe and savvy during your next trip abroad. 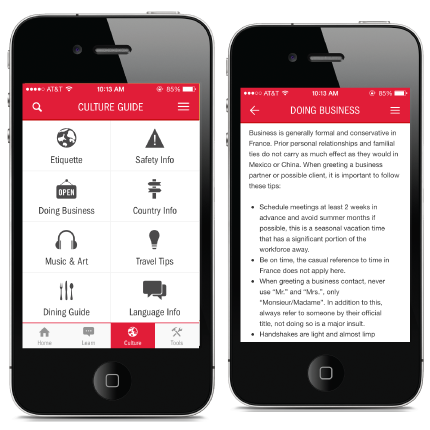 The app includes a suite of tools to help you navigate foreign countries with ease. 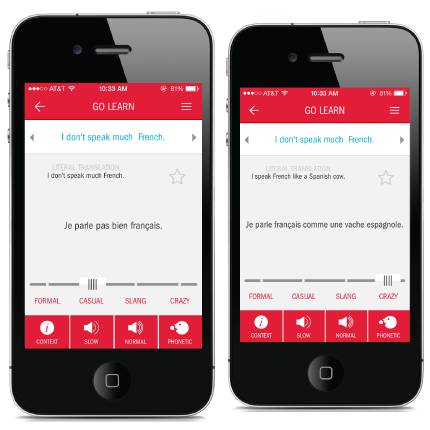 Find useful phrases with the interactive phrasebook and commit them to memory using the built-in flashcards, quiz mode or audio lessons. Use the voice translator for instant translation or you can even call a human translator for live assistance. The culture section helps you understand local customs and etiquette, and travel tools like the Wi-Fi dialer and tip calculator help you travel like a pro. 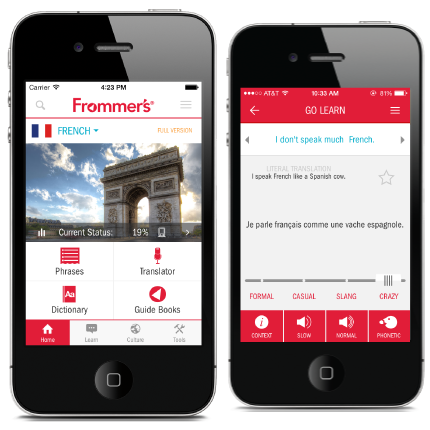 The free version of Frommer's Translator includes access to basic content in 13 languages, and a premium subscription gives you full access to over 2,000 phrases per language, unlimited use of the voice translator, full access to audio lessons and the dictionary, and more. Download the app today on the iTunes or Google Play appstores. Frommer's Translator is the ultimate tool for international travelers. Learn essential phrases, instantly translate your voice or connect to a live translator, get a crash course on the local culture and so much more. Check out some of our features below. The Ultimate Tool Travel like a pro with the essential international travel companion. Understand the Culture Critical insight into local culture, customs and etiquette. Talk Like a Local 1000's of phrases in four slang levels plus a 10,000 word two-way dictionary. 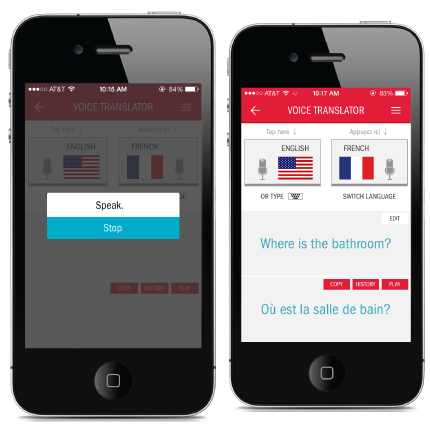 Translate Instantly Translate your voice or connect via phone with a live translator. 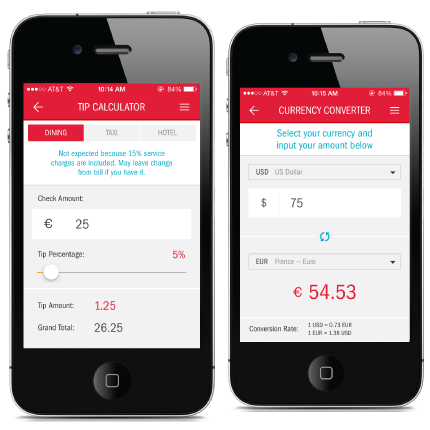 Travel Smart Essential tools including a tip calculator, currency converter and wifi phone.